Have You Added Drop Shipping to YOUR Business Yet? While we were at Linn Academy last month, we chatted to a lot of you who were interested in incorporating drop shipping as a model into your business. And that’s for good reason – with drop shipping supporting over $85.2 billion of sales in 2017 and undoubtedly significantly more this year, there’s a huge amount of money to be made by sellers and suppliers. Quick recap of what drop shipping is, in case you’ve missed the phenomenon (although if you have… where have you been?!) drop shipping is a retail fulfilment method where a retailer/seller (the “DropSeeker”), whether online, offline or both, does not hold stock. 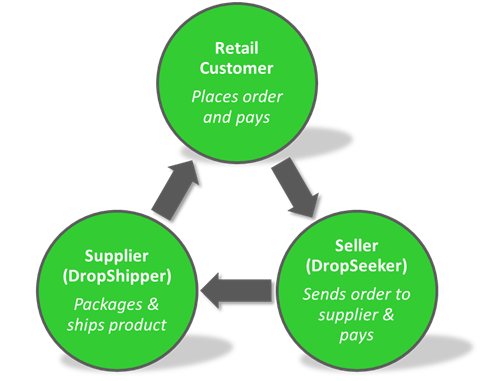 When a customer buys a product, the DropSeeker simultaneously buys the item from a supplier (the “DropShipper”), who sends the item directly to the customer. The DropSeeker never sees or handles the product. If you’re a supplier or a manufacturer, the main benefit of drop shipping is that you don’t have to invest time or money in setting up your own multi-channel presence – your products are listed for you by your drop shipping partners, AKA DropSeekers. They will list items from your inventory on their chosen platforms – eBay, Amazon, Wish, their own website… wherever they are already selling. All you need to do is send out their orders as they come in – as long as you’re able to dispatch those orders, you can become a DropShipper. 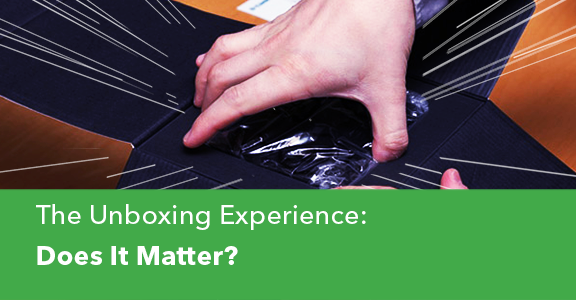 For DropSeekers, (sellers) the advantages are significant too – you can expand your inventory almost limitlessly, maintaining customer interest when you add new lines from your DropShippers. You’re able to keep cash freed up, as you’re not investing in stock – so there’s less risk, as you’re not buying in stock that might not sell well. And by listing your DropShipper’s products, you don’t have to keep stock in your warehouse, helping to keep your overheads lower. However, there’s traditionally been difficulties in getting going with drop shipping. Many of our clients have told us that finding good, reliable partners has been tricky, and while we’ve been able to make some introductions, that wasn’t going to be a long-term solution that would work for everyone. We’ve assisted clients who have been wrestling with different tools and manual procedures for connecting and communicating – ultimately, we established that automation was required for long-term, simplified and successful drop shipping by individual companies, and by the industry as a whole. We’ve already introduced avasam on the blog, but it’s been a while since we spoke about it. 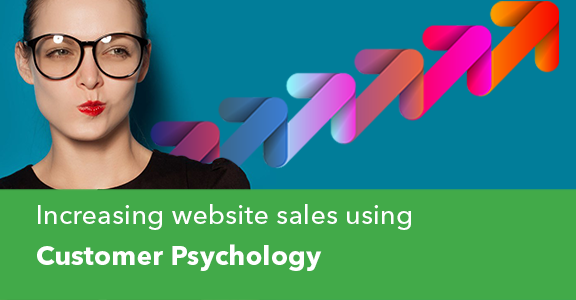 With the busy quarter four already under way, we thought we’d give you a gentle reminder of how avasam is a great way to increase your profits without substantially increasing your workload. 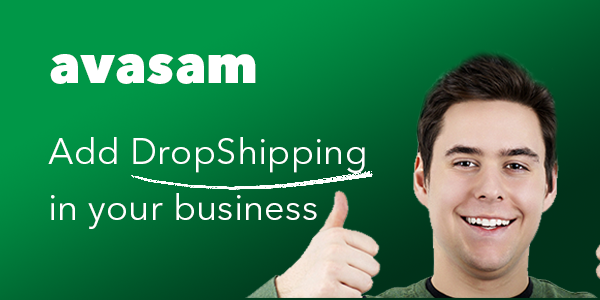 The drop shipping platform that connects to your existing systems, with avasam there’s no need for those complicated file exchanges. There are direct connections to all the popular marketplaces including Amazon & eBay, and payment methods are secure using PayPal & Stripe. Postage is simplified too, with direct integrations to shipping providers (including Royal Mail, Whistl & DHL). And to make picking your drop shipping partners as simple as possible, we’ve also included a rating and feedback system – so if you’re doing a great job, more people will do business with you. 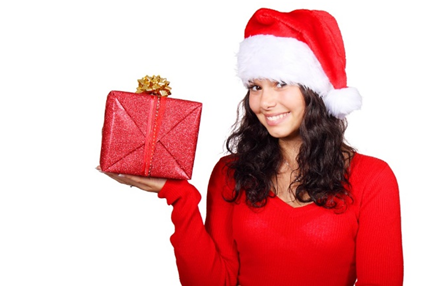 If you’re thinking it’s going to be too difficult to get avasam implemented in your business before the Christmas gift buying rush really kicks up a gear – well, think again. We take care of the implementation for DropShippers, and we’ll ensure avasam is connected to all your existing systems, so if you’re using Linnworks to manage your orders, no problem – you’ll carry on using Linnworks as usual. DropShippers are typically up and running in less than three days, including training, with no downtime on any of your systems. If you’re a DropSeeker, you can be up and running on avasam in even less time – typically you can be listing products from suppliers within a couple of hours, and the same applies about Linnworks. Our clients who are already using avasam have told us it’s been the easiest, and one of the best moves they’ve made for their business. Indeed, among our first clients that used avasam, who have been on board for a little over 18 months now, have reported sales of their products increasing by a whopping 400% since they implemented it, and around 65% reduction in human errors. Another client who has used avasam for just over a year is reporting over 180% increase in growth. With faster delivery times, happier customers leaving great feedback and returning to buy from you again, you’ll be set for not just a happy Christmas, but a happy new year too. And should you need it, we can help with simplifying your reporting too – check out Barry Analytics! However you’re thinking about adopting the drop shipping process – whether as a DropShipper or a DropSeeker, then get in touch! We’re ready when you are, and there’s no daft questions.